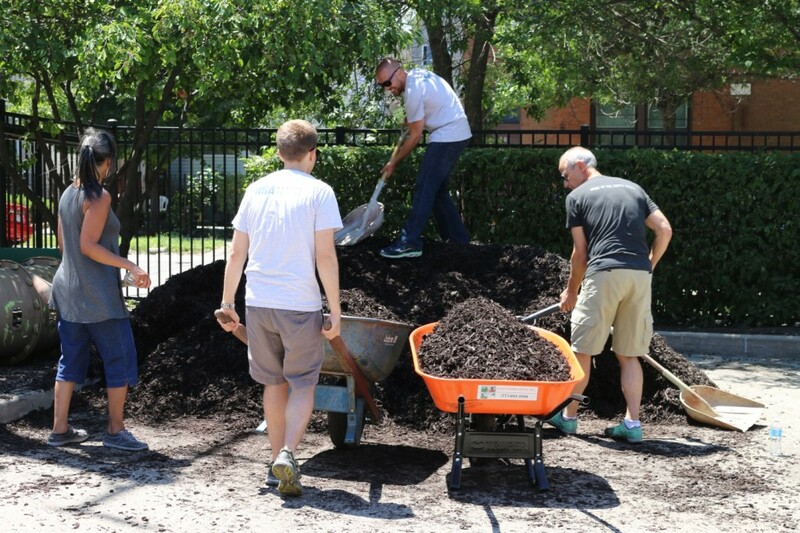 Last week, and for the third consecutive year, HSAwareness volunteers returned to Chicago Commons’ Paulo Freire Family Center (PFC) in Chicago’s Back of the Yards neighborhood to help freshen the playground for the upcoming school year. Every year, the playground sustains a harsh Chicago winter after months of heavy use by the children of PFC, but for the past three years, the HSAwaresness crew has shown up ready to get their hands dirty. 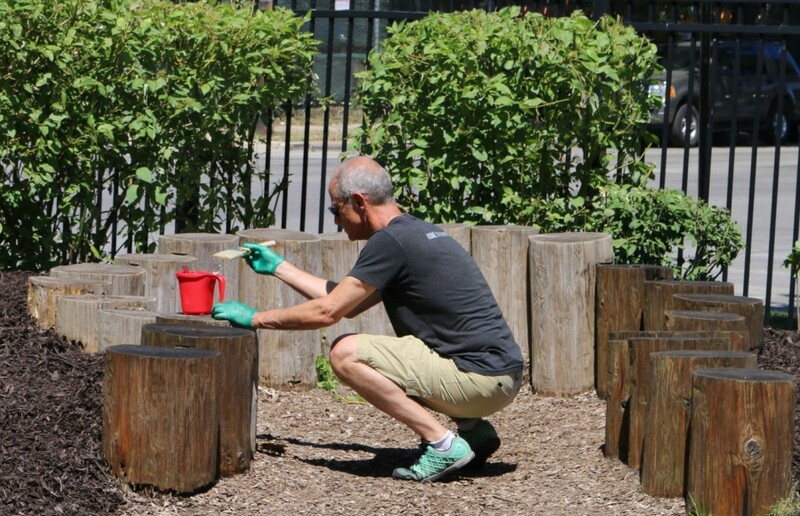 This year, the team was tasked with sanding and staining logs and a wooden patio canopy, as well as hauling and spreading fresh mulch and woodchips throughout the playground. Recently HSA Commercial was named 2016 Corporate Partner of the Year by Chicago Commons for past projects such as this one. HSA CEO and Chicago Commons long-time board member, Bob Smietana, accepted the award on behalf of the HSAwareness team at the organization’s annual meeting. For 120 years, Chicago Commons’ mission has been to partner with individuals, families, and communities to overcome poverty, discrimination, and isolation. 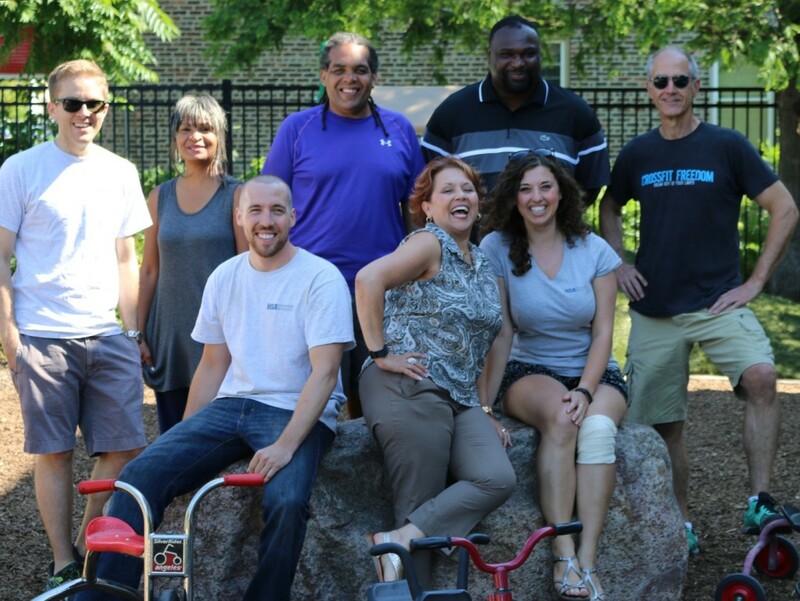 Every year, the HSAwareness team, led by Bob Smietana, and HSA SVP, Josephine Thomas-Hoytt, eagerly anticipate assisting this valuable organization with their playground restoration project at PFC. Our volunteers, pictured below, hope that the children at Paulo Freire Family Center enjoy their new playground, and we look forward to returning again next year.